Payne's of Glass are a small company, so to compete with the larger firms we have to offer an outstanding service. This is the sort of one on one service and attention that can be lost with larger organisations. All our work will start with a consultation to establish your needs with helpful and friendly advice offered where needed. With well over 20 years of experience we will then help you create a solution for your new conservatory, orangery, windows or/and doors. Planning and Building Control issues are dealt with for you. 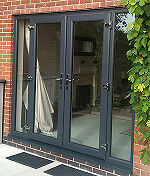 At Payne's of Glass we will design your conservatory individually to your home and requirements. This is a free service that is undertaken before we propose a quote and is part of our value added service because we work for your recommendations. 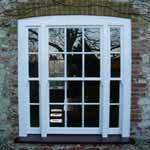 More >> And remember: "We are 25% cheaper than most"
We can supply and install all types of double glazed window including sash windows. All our windows are internally glazed for better security. And remember: "All our windows are fitted with up to the minute specification double glazing systems based on the insulation properties now required by current building regulations making them the greenest More >> available"
Orangeries are becoming more popular as they allow for bespoke designed extensions to be designed around your home. An orangery can sometimes be the only solution when the aspect of the proposed site might preclude a more conventional conservatory. And remember: "Our design service is a complimentary service. So we won't charge you to design the perfect orangery for your More >> home"
Firestone Building Products is a leading manufacturer of high performing Roofing Systems for commercial and residential roofing applications. Since 1980, Firestone Roofing Systems have been successfully installed on hundreds of thousands of roofs worldwide. Made of toughened glass, Solar Slates can be installed as part of a roof face alongside non-compatible slates and tiles. Planning authorities have welcomed these roofs as a more aesthetically pleasing alternative to solar panels. And remember: "All our installations are backed by a 10 year insurance underwritten guarantee to give you peace of More >> mind"
Fitting double-glazing in replacement windows will provide some sound insulation. If sound insulation is the main reason for the new windows ask your supplier for advice on this as they can normally offer good advice and better solutions. Please remember to inform your home insurance providers of your new conservatory / sunroom addition. 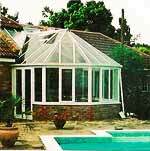 Adequate cover for complete rebuilding should be arranged as soon as the conservatory is completed. If you are just purchasing the items but do not require installation. You will most commonly only be covered by the manufacturers 1 year guarantee.